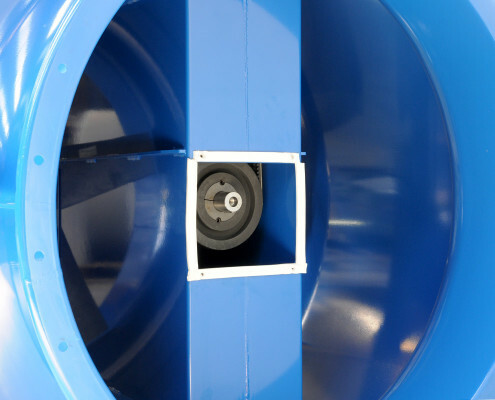 Medium-pressure axial fan for fume extraction from galvanic baths (corrosive). 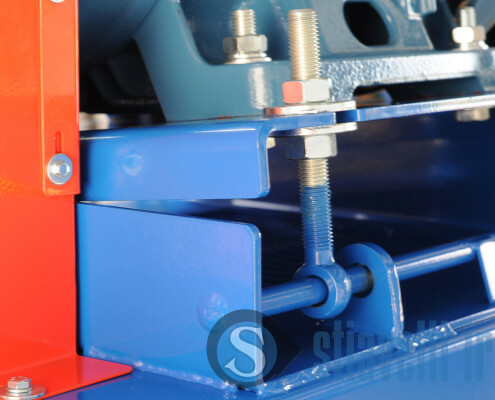 Arrangement 8, coupling through elastic joint. Wetted parts made of stainless steel AISI 316L. 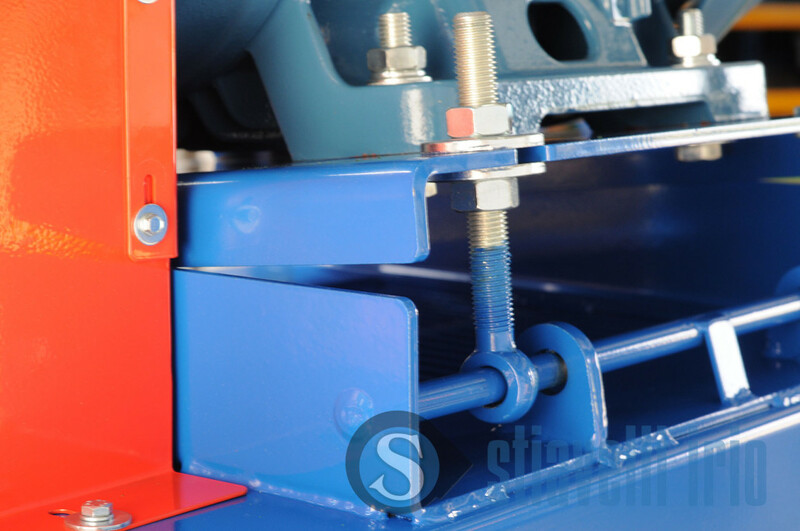 Splitted casing to facilitate the transport. 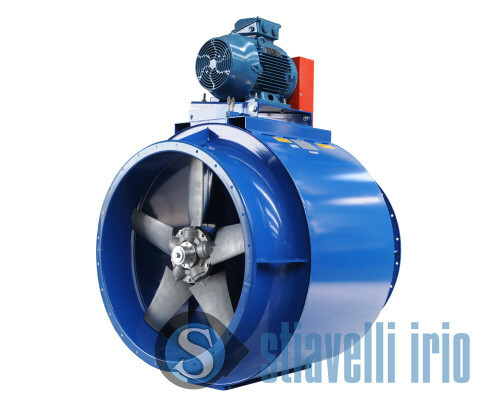 These fans are suitable for the extraction of fumes deriving from galvanic baths (corrosive). All the wetted parts are made of stainless steel AISI 316L, since this material is highly corrosion-resistant. 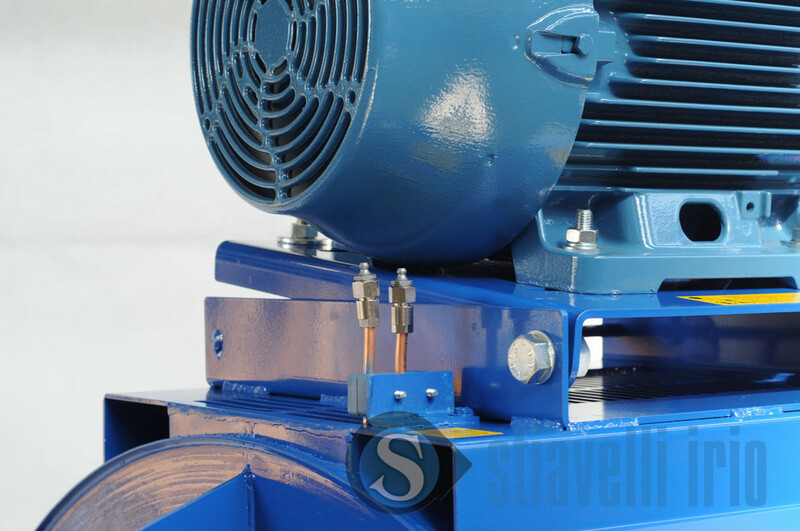 The whole supply includes other three fans, two medium-pressure and one high-pressure, appropriately reinforced to withstand the high pressure of the fluid. 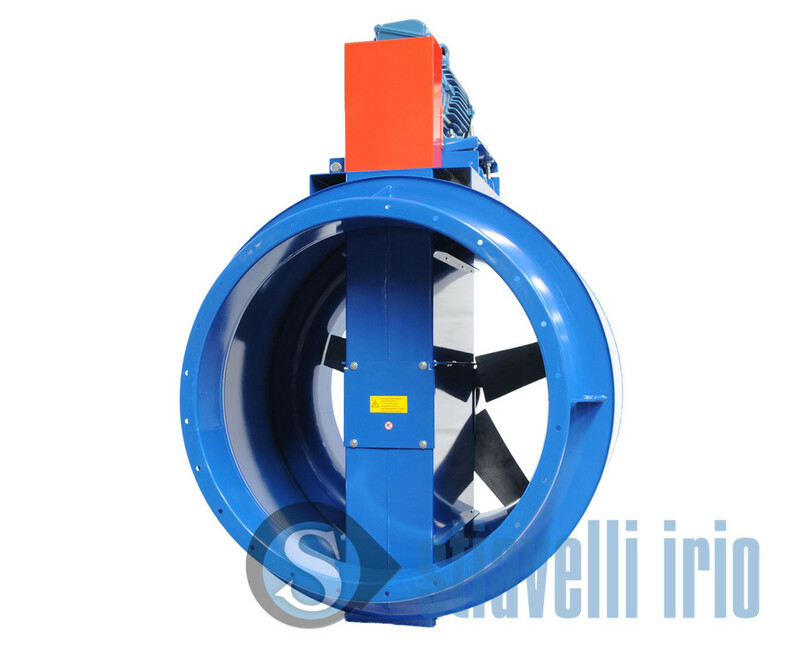 The wetted parts of the three fans are made of CORTEN and the fans are provisioned to withstand high temperatures (insulation thickness 60 mm). 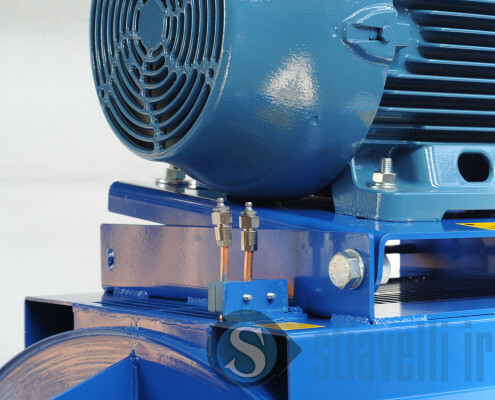 To guarantee an appropriate service and duration in time within corrosive atmospheres, the machine has been manufactured with different special features, among which the construction material. 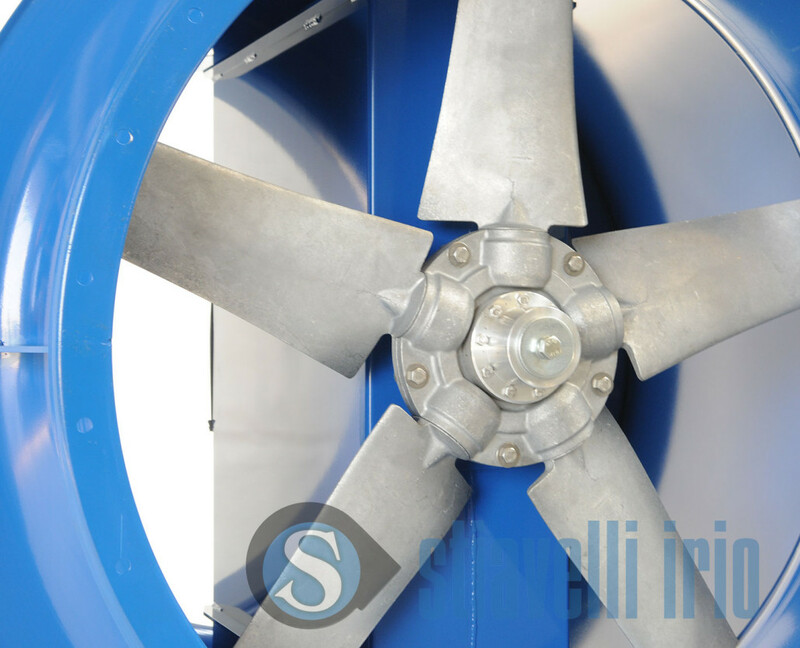 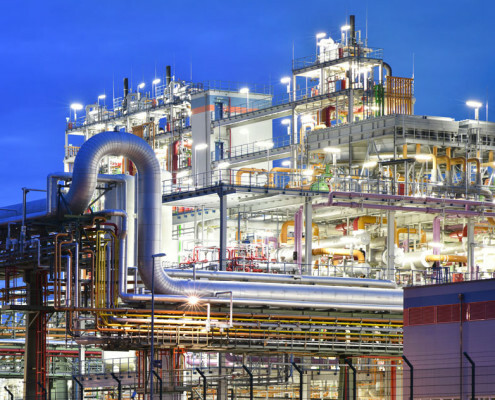 It is also possible to study solutions for high temperature applications, such as cooling fan, VITON seal and insulation.